In the early 80s, when I was 7-8 years old the only newspaper column which I eagerly waited for was Haroon Rashid Alig's Khel Khiladi in Urdu Blitz. That was the most popular weekly sports column in any Urdu newspaper then. In those days Urdu papers were even more drab and hardly had any cartoons or such stuff that could attract kids like me. Apart from Shama group's magazine for children, 'Khilauna', Blitz was the only paper I used to flip through in those days. His column was not limited to the usual cricket, hockey and the boxing stuff only [in those days Urdu papers used to have regular features on Muhammad Ali, who was always referred as Muhammad Ali Kilay because of his original name Cassius Clay]. Perhaps this kilay made it sound more masculine. Either it was Wilson Johns, Prakash Padukone or the Chess legends like Manuel Aaron, I got familiar of these names through Blitz. Of course, the focus of column was slightly more on Muslim players and coverage of events like hockey player Zafar Iqbal's marriage or Kirmani acting in a movie. But it got me interested in Urdu newspapers. Karanjia's Blitz was a successful paper then and it's readership was not limited to Muslims only. By late 80s, the changing political situation in the country, brought a transformation in journalism also. Big groups like Shama were closing and the tabloids which sprang up fast, thrived on sensationalism and the mosque-temple issue. But for Haroon Rasheed, journalism was about constructive stories and not sensationalism. He was a strong believer in composite culture. But for a humanist like him, the riots of 1992-1993 came as a personal shock. His house was attacked and set afire. His library that had thousands of precious books was destroyed. That shattered him. On a visit to Delhi press club, he broke down recalling the horrors. He told them how his daughter had emerged as a topper in Marathi but the Shiv Sena goons vandalised his house and his personal library was charred. After the riots, he asked tough questions to Sudhakar Rao Naik about the riots, his government's tacit complicity and the role of Congress-men and police who had sided with rioters. It was in the light of this interview that the Justice Srikrishna Commission had quizzed Naik about his personal equations with Bal Thackeray. In 1995, Haroon Rashid joined Inquilab as Editor. He started writing the special editorial on the magazine's front page on Sunday. The focus was always on education and constructive stories. These editorials played a significant role in spreading educational awareness amongst Muslims in Maharashtra in the mid-90s and later. And when Urdu medium students topped in Maharashtra, nobody was more delighted than him. Journalist Masoom Moradabadi says that Harun Rasheed created an awakening and a mood across the state with his writings in Inquilab. An alumnus of Aligarh Muslim University, he always used Alig as a suffix and it became a part of his identity. He was born in 1942 and passed away on March 4, 2000 just at the age of 58. As per his wishes, he was buried in his native Ghazipur [Uttar Pradesh]. Sadly I don't have any photo of him to post with this story here though I remember his face clearly. 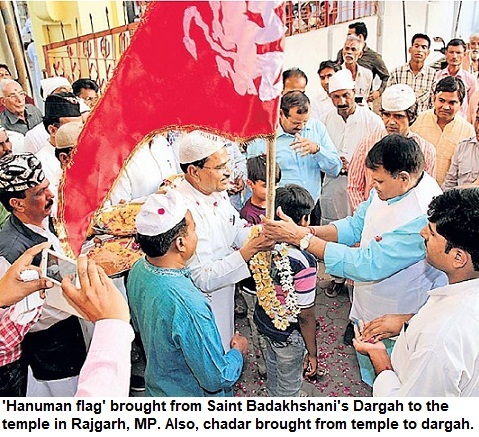 Incidentally the last post on this blog was also about a man who hailed from Ghazipur, Rahi Masoom Raza. 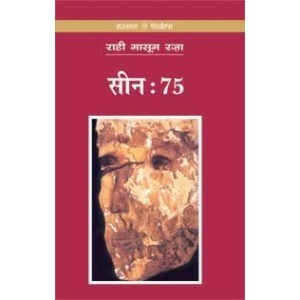 I am reading Rahi Masoom Raza's novel 'Scene 75'. Earlier I have read a few of his other novels including his masterpiece Adha Gaon, Topi Shukla, Katra Bi Arzoo, Os ki Boond, and Neem Ka Ped as well. 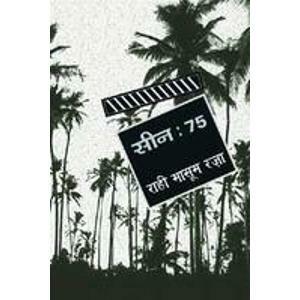 Scene 75 is a short novel. The main characters of the novel are Ali Amjad, Harish Rai, VD (Virendra) and Alimullah Khan, who have come to Mumbai in search of livelihood, and live in a small rented room. The novel is set in the decade of sixties, the nascent new born India, where the wounds of partition are still fresh. Through characters like Sarla, Ms DeCruz, Manchandani and Lata Sinha, the novelist delves into the anxities of the generation and sensitively deals with issues of human existence, survival in film industry and of course, communalism. Raza writes, 'I am a son to three mothers--Nafisa Begum, Aligarh University and Ganga. Nafisa Begum is no more and even her features I can't recollect but the other two are alive and I can recall them clearly. This novel is dedicated to these three mothers of mine'. I feel it's an engaging novel though not in the same league as Topi Shukla or Adha Gaon, still, a good one to read. After this, I plan to get and read Himmat Jaunpuri, another major novel by the same author who is remembered for his Bollywood scripts as much as his contribution to the scripting of DD's epic Mahabhrat serial. 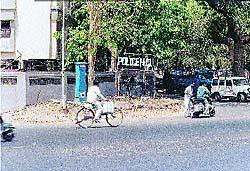 It was five years ago when the tomb of poet Vali Gujarati (also known as Vali Dakni) was demolished and a road was constructed overnight, leaving no trace of the mazaar. The mob that destroyed the heritage of their own state, went ahead with building a temple 'Huladia Godharia Hanuman Mandir' on the spot. Now, the High Court has issued a show-cause notice to the Chief Secretary and the Ahmedabad Municipal Corporation (AMC), regarding the status of the shrine and its restoration. The petition has been filed by All Gujarat Minorities Association. The AMC's hand was suspected in the construction of the smooth road and AMC bulldozers were used. The make-shift temple was later removed though. Ironically, the dargaah was just next to the Police Commissioner's office. But when there was no police to save the living, who would have thought about saving the abode of a dead. Alas, he was the man who had sang paens of Ahmedabad, Surat and Gujrat. This is one of the most quoted line 'is ghar ko aag lag gayee ghar ke chiragh se'. In most of the collections and articles, this sher is not attributed to any poet. I have learnt that the poet was Pandit Mehtab Rai Tabaan. Does anybody think otherwise? The problem is that with every passing year we are losing Urdu litterateurs who could settle such debates. The generation of poets, writers and literature-loving readers, who had thousands of 'ashaar' on the tip of their tongue, is nearly extinct now. It is Asrar-ul-Haq Majaz' couplet and in the book it is attributed to someone else. It is commonly known that the above mentioned sher belongs to Pakistan's famous poet Mohsin Bhopali. Anyway. That's all for those who are obsessed with Sher-o-Shairi. I have earlier written posts on Well-known Couplets, Little-known poets and plan to continue this series after a long gap. The earlier posts are here, here and here. It's an amazing story. The eight-year-old girl, Naseema, was sold in her childhood but a Brahmin couple gave shelter to her, brought her up like their own child, educated and married her off to a Muslim youth working in Middle-East. The girl's father Ibrahim rolled 'bidis' and his wife had died. The youngest, Naseema, was one day picked up by a relative who had sold her when her father was away. For two years she worked as domestic servant until she escaped. And when she reached the Hindu couple they made sure that she was brought up as a Muslim, telling her about her faith and even making her wear a burqa. Jaya Menon tells this astounding story in Indian Express from Vellore. She reports that Naseema and her husband used detective service to trace her father recently. Ibrahim Sharif, 65, is now deaf and mute but heard his daughter Nasima's voice on phone and 'began to utter noises'. He works at a roadside tea shop and is about to leave to Jeddah to meet her daughter and son-in-law. All these years she had remembered her father taking her to school and carrying her as a kid on her shoulders and now comes the reunion after 24 years. It is a great story and must read. Read it here. A Muslim couple raise a 'Hindu daughter', as per her religion of birth, marry her off to a Sharma family. Do read and share in the times when online bigots, trolls and communal minded elements are spreading falsehoods about communal harmony and Hindu-Muslim relations in India. Just when UK police had arrested Muslim professionals on suspicion of involvement in terror plot, a medieval Muslim emperor's monument of love was chosen as one of the seven wonders of the world. 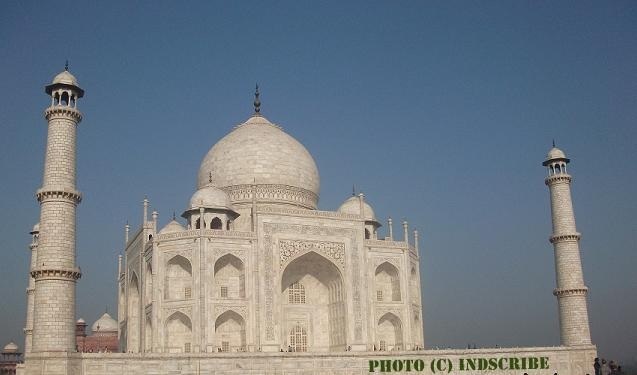 Shahjehan's gift to the world, Taj Mahal, is the greatest celebration of love in human history. It's something that makes a Muslim feel proud. But when young Muslim professionals turn radical, it must send the community in introspective mode. Of course, it is just a couple of Indian Muslims who have been caught, and though charges are yet to be proved, but the fact is that we can't ignore this trend. Also, we need to get out of persecution complex and get introspective. The world is worried. Why young, educated Muslims who have apparently everything going for them, are so overcome with rage that they not only put their lives at stake but also bring ignominy for their family (and qaum) for life. It hurts to see the elderly parents of Kafeel in the twilight of their life, facing the tough questions, and social disgrace. Why can't they get passionate about some other thing--love, literature or learning. I remember six to seven years ago, during an informal chat, a friend said that Muslim men are the greatest lovers and the most sensitive ones. I was quite surprised to hear the statement. The friend said that all great lovers in history have been Muslims: Laila Majnu, Shirin Farhad, Heer Ranjha, Sohni Mahiwal, Sassi Punno, Salim Anarkali, Azra Wamiq, Shahjehan Mumtaz or so many others. But where are such lovers today? I keep telling myself that it is a temporary phase. The LTTE that perfected the art of modern suicide bombings and has conducted nearly 173 such strikes, the highest in modern history, is not Muslim, and has targeted people and shrines in a predominantly Buddhist country. Its cadre comes mostly from Hindus. So is it Hindu terrorism? Or Basque and Irish militants, Christian terrorists? There have been terror outfits belonging to other religions and sub-sects. It is equally true though that LTTE doesn't wear its religion on its sleeve. On the other hand it is also true that Muslims are readily branded as terrorists. Yes, the geopolitics of the contemporary world and the targeting of Muslim nations for decades by US-UK along with the issue of Palestine, have led to a sense of persecution amongst Muslims but still this doesn't justify the madness we see in Iraq. Shrines are being bombed and hundreds in killed in fidayeen attacks. Muslims feel angry when Islam is associated with fundamentalism and terror. They do feel that why the death of millions of innocents in Iraq fails to shake the world. But the fact is that everybody has grievances and we must understand that the world doesn't exactly feel the way Muslims feel. And this sense of perpetual persecution would not lead the community anywhere. Why we don't get to hear good news from Muslim nations? Fifty years ago there was hope that countries like Egypt, Turkey and Pakistan, could emerge as modern Islamic nations. But the entire Muslim world has failed to establish even a single university that could have attracted the students from West. In Egypt, a teenaged blogger is arrested just because he wrote a post against government. Isn't it ridiculous! Surely the Muslim world is in a state of transition. Agreed, monarchies of middle-east have deprived their citizens of their democratic rights and these kings were put in place by the vested interests of Western nations in the aftermath of Second World War. Islam doesn't have institutionalised clergy but exactly the opposite is happening. A prestigious seminary in North India says co-education is un-Islamic (India), Don't they have a better thing to say? And another seminary in neighbouring country lets the girl students do moral policing. While a teenaged girl is shot in Afghanistan for attending a school. All such depressing news reports coming in just a week. We don't have a progressive leadership, and also there is no statesmen emerging out of Muslim world. Is there any such political leader or personality that commands respect across the Muslim world? Someone who could put sense in the head of the fighting Shias, Sunnis in Iraq or the Fatah and Hamas cadres. (Of course, ordinary Muslims have begun speaking up, loudly, especially in Europe and America and that's a healthy sign). There were hopes from Malaysian Mahathir Muhammad that he could be a statesman, the kind of which we need in today's world. My rant is getting longer and longer though I wish to write on another issue: the syndrome of judging your fellow co-religionists' 'purity of faith' apart from judging people on sectarian and religious scale. But that's for later. Meer Ali Muttaqi had told his son 'betaa ishq karo, yahi jilaata hai aur yahi jalaataa hai' (My son, do fall in love). And the teenaged son Mir Taqi Meer became one of the greatest bards of the world in eighteenth century. Ishq-e-Majazi (love for God's creation, human beauty that evokes love) or Ishq-e-Haqiqi (real love or love for God). Whatever. But there can't be any path to God that passes through violence, killings and destruction. Vision for Uplift of Dalits: Financial empowerment is foremost need, education can come later! 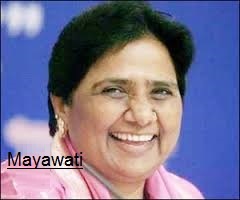 The Bahujan Samaj Party (BSP) supremo and UP Chief Minister Mayawati feels that the quickest way towards empowerment of Dalits is through economic opportunity. This is the reason that she wants quota in allotment of petrol pumps to Dalits in Uttar Pradesh. Her vision is clear. Once a person gets a petrol pump allotted, it is not only the family but all their relatives and the entire clan that also gets financially empowered. With prosperity comes social respect. Surely the children would then study in English medium schools and then there is no stopping the process of speedy empowerment. At police stations across the state, the quota for Dalits, will also bring empowerment. Dr BR Ambedkar always maintained that Dalits should inhabit urban areas [where there is less caste discrimination] in large numbers and also their strength could thus be seen at places where it matters. Just an educational drive can't be enough to bring a change and it will also be long-term. However, the results of financial empowerment are visible much earlier. In comparison, the overall educational backwardness of Muslims doesn't seem to have a solution in near future. The drop out rate is unusually high. As far as allotment of gas agencies and petrol pumps is concerned, the situation is abysmal. Have the Muslim MPs ever been questioned with regard to the discretionary quota? Muslims, in general, find it very difficult to get even bank credit, let alone having the land or cash needed as security to furnish. My concern is not about Muslims alone. Rather about the policy regarding allocation of petrol pumps to those belonging to rich class, who continue to get richer. However, the underprivileged belonging to any caste or religion, hardly get such allotments, which are sure shot ways for upward mobility. 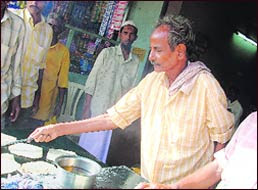 Even getting a ration shop or kerosene outlet, is a Herculean task for the ordinary Indian citizens, unless he is 'connected'. Except the quota for kin of freedom fighters and martyrs, mostly it is given on pure connections and through corrupt practices. The allotments were cancelled owing to such irregularities by the Supreme Court, which had stated that MPs can't be petrol pump dealers. Juhapura, a Muslim dominated locality in Ahmedabad, has a population of 2.5 lakh but had no bank. The residents spoke to the government officials and banks. 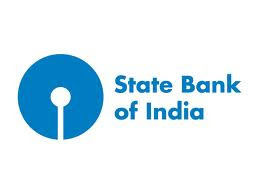 The State Level Bankers' Committee (SLBC) mulled over the issue several times. It took correspondence up to the level of Union Finance Minister P Chidambaram and a copy to Prime Minister, before things seemed to set in motion. Now the residents hope to get a bank soon in their area--after 16 long years. The area had a bank till 1991-92 but was closed due to riots. Though it is not very surprising given the fact that the area lacks in schools and medical facilities. Dena Bank is now going to open a branch here, reports Syed Khalique Ahmed in Indian Express. The full report can be seen here. The report also informs us that Juhapura, which is termed the biggest Muslim ghetto of Gujarat, had got its name after a Hindu inhabitant: Juha Thakur. Though Juhapura has emerged as a predominantly Muslim domimated area, a few Hindu families still live here. However, they are mostly poor vendors and road-side sellers who have no option, as they can't afford to buy house outside. Meanwhile, read another post about Ahmedabad. Five year's after Wali Gujarati's tomb was flattened in his own Gujarat, Nasiruddin visits the place and writes a passionate piece on his blog Dhai Akhar. Click. Tufail Ahmad Ansari, who topped the SSC exam in night schools in Nasik division (Maharashtra), is the son of a tea kiosk owner. He appeared in the examination through Urdu medium. On the left is the photo of Tufail, who helps his father in running the kiosk. (I am sorry about the quality of the photo). And he is not alone. In over all SSC exams, the topper in Pune division was Maghribi Bibi from Anglo Urdu Girls High School who attained 95.69% and Sheikh Tanzila was ranked second. In Nagpur division, Asma Jabeen, a student of Zakir Husain Urdu High School, secured 94.61% marks and came first in the division. In Amravati division, Reshma Shekh secured second rank with 95% marks. In eight boards across the state, three toppers in night schools were Urdu medium students (read Muslim). Apart from this, in most divisions, Urdu medium studnets have done exceedingly well. In night schools, Asma Begum, Anees and Minhaj Bano are other toppers across the state. Commenting on the academic excellence of Muslim students in Maharashtra, Jyoti Punwani had said in 2003 that,'In Pune, the Oxford of East, the Joshis, Gadgils and Abhyankars have been replaced by Ansaris, Mistris (Bilal Mistri) and Karigars (Wajida Karigar)'. It all started in 1997, when Tanvir Maniyar topped in entire Maharashtra, beating lakhs of students of English, Marathi and Hindi medium. Ever since, Urdu medium students have been figuring in the toppers' list across the state. Neither medium is any constraint, nor their humble background. The success of Mohammad Qaisar Abdul Haq, who secured 32nd rank in the Civil Services exam recently is proof that Urdu medium is no constraint. I wrote a post about it at Indian Muslims here. Just that there should be will and dedicated teachers who can guide the students.